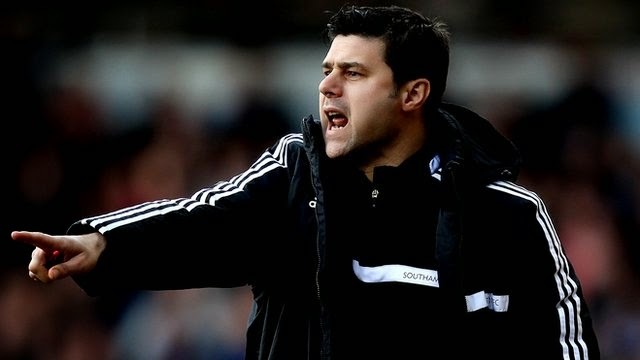 Mauricio Pochettino was confirmed as the new Tottenham hotspurs manager on Tuesday. The former Southampton boss signed a five year deal with the London club. The Argentine resigned from Southampton after 18 months with the club. The 42-year-old becomes Tottenham's 10th manager since 2001 and replaces Tim Sherwood who was sacked on 13 May. "This is a club with tremendous history and prestige and I am honoured to have been given this opportunity to be its head coach," Pochettino told the Spurs website. "There is an abundance of top-class talent at the club and I am looking forward to starting work with the squad," added Pochettino. "Tottenham Hotspur has a huge following across the world and I have great admiration for the passion the fans show for this team. Luke Shaw, Adam Lallana, Rickie Lambert and Jay Rodriguez all earned their first England caps under Pochettino as the club secured notable wins over Manchester City, Liverpool and Chelsea. Tottenham had been linked with bringing in Ajax coach Frank de Boer as their new manager but have instead opted for Pochettino.